Combine all ingredients in a food processor and blend until a dressing like consistency is reached, adjusting the flavours as necessary. Store in a glass container in the fridge for up to 2 days. Enjoy! Pre-heat oven to 170C and line a baking tray with baking paper. In a bowl, combine all of the ingredients except the oil. Make a well in the centre, add oil and mix well. Add 75-100mL boiling water until mixture comes together and forms a dough light consistency - let sit for 5-10mins. Press mixture into the baking tray evenly and with a knife, mark lines into the dough to create cracker shapes. Bake for 20-30mins until lightly golden. Let cool on a wire rack before transferring to an air-tight container. Store for up to 1 week. This dish makes a simple side dish or if preferred, stir through some goats cheese as a light meal. And a nice way to use leftovers is to scramble it through eggs. 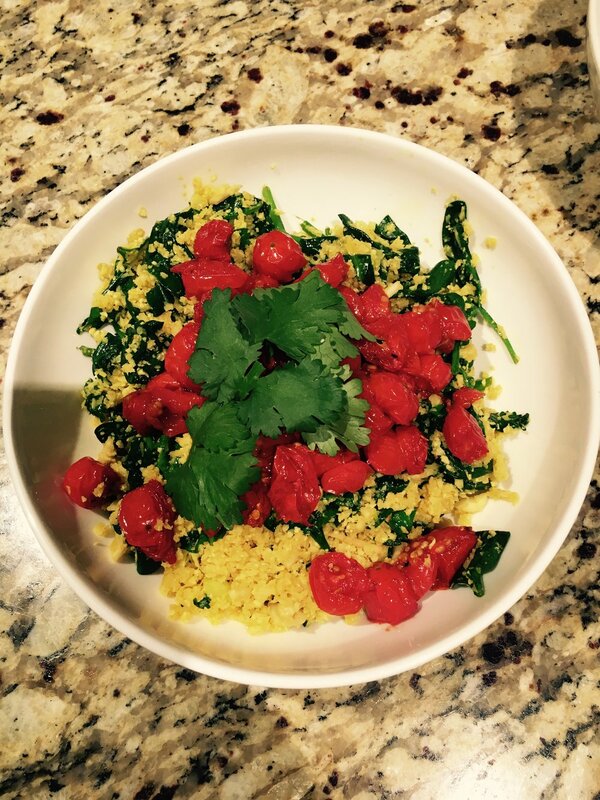 Cauliflower rice with roasted tomato and spinach! Preheat oven to 180C. Toss cut grape tomatoes with olive oil and a sprinkle of salt and pepper in a baking tray and roast for 20-30mins until well roasted, set aside. Heat olive oil in a large saucepan, add leek, cook for 3-5 minutes before adding turmeric, cook the turmeric off for 1 minute before adding the cauliflower. Combine well until cauliflower is golden in colour (from the turmeric). Add spinach until wilted. Season to taste and stir through the almonds. Take off the heat and place into a bowl. Top with roasted tomatoes and coriander. Enjoy! Beetroot hummus is a great alternative to 'regular' hummus, especially if you cannot tolerate chickpeas. 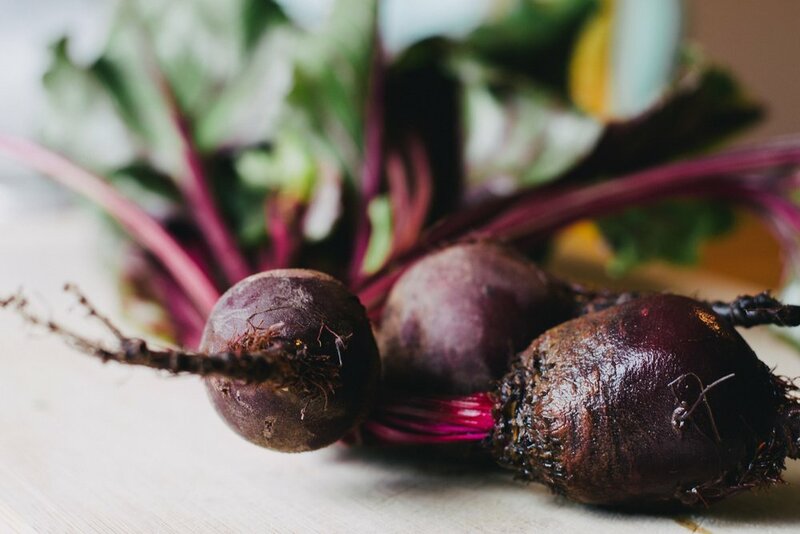 Beetroots are one of my favourite vegetables to use in cooking and despite the many benefits of eating beetroot, I often hear people say they are unsure how to cook and use beetroot and pop it in the 'too hard' basket! So what are the benefits of eating beetroot? What are some ways to use beetroot in cooking? grate fresh beetroot and carrot and combine with extra virgin olive oil or coconut oil, lemon juice, salt and pepper - eat as is or as a dinner side!